The gross gaming revenue for the commercial casino industry in the U.S. has grown from $61 billion in 2000 to over $90 billion in 2006. That’s a fifty percent increase in gaming gross revenue in only six years and does not include gaming in other countries or Internet gaming Both Casino Player and Strictly Slots magazines have kept pace with the industry, adding new readers and renewing long-term subscribers every month. Nearly every state in the nation offers some form of gambling, which includes casinos, para-mutual wagering, lotteries, legal bookmaking, charitable gaming, bingo, Indian gaming and card (poker) rooms. Well over half of the American adult population has gambled in a casino, and well over 75 percent of adult Americans now believe casino gaming is an acceptable activity for themselves or others. Millions of Americans are visiting the nation’s various gaming markets for the first time each year. 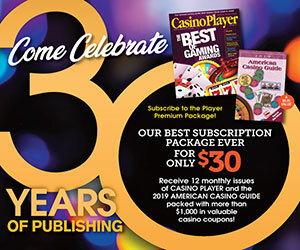 Casino Player Publishing’s research shows that the typical casino patron is identical to a CPP reader, earning more than $60,000 each year, with a median age of 45 years of age and with a college degree. Furthermore, research shows that CPP readers also enjoy entertainment, dining, shopping and non-gaming casino amenities as much as the chance to win, when visiting a casino. Which is why Casino Player and Strictly Slots Magazines are the ideal way to reach your target audience. 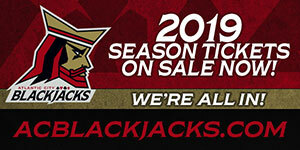 Casino Center offers two kinds of advertising: Print and Web. Click on the links below to view advertising pricing and services.